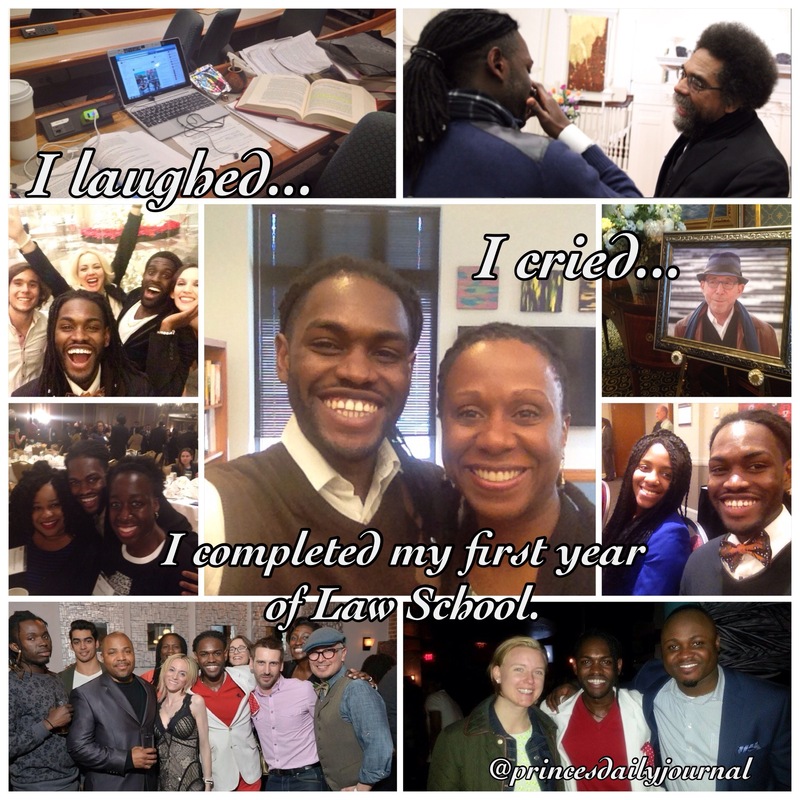 It has been a little over a week, since I completed my first year of law school. And I want to take this time to say thank you to everyone who has touched me. Thank you to those who fed me breakfast in the mornings (Omni Parker Hotel and Ritz Carlton) and to those who kept my spirit strong (La Iglesia Cristiana de Nueva Vida). My year wouldn’t have been successful with you guys. I also want to say thank you to my family and God for nourishing me both financially and physically. Three people that I wish to recognize that made this year phenomenal are: Dr. Cornel West, Late Attorney Mark Fischer, and Dean Camille Nelson. Thank you Dr. West for picking up the phone, when I was 17 years old, and leave a voicemail saying how awesome I was. That day when I shared tears with you in Boston will forever be my cherished moment. Me becoming a law student at that time was a testament to your goodwill. Thank you Attorney Mark Fischer for wearing your signature bespoke tailored suit. If you hadn’t worn that light blue suit on that day, I would not have approached you nor would you give me that little push to apply to law school in our interview–plus have an interest of what you did before you were laid to rest. I honestly believe that it was your letter of recommendation that got me into Suffolk Law School. So thank you Mr. Fischer and may you Rest in Peace. And lastly but not least thank you Dean Nelson for being a great role model and enthusiastic dean. When I first came to Suffolk’s welcoming party and saw you, I knew right away that I was home. Thank you so much and I wish you all the best as you venture out in the world to change more lives as you did with the students of Suffolk Law School. And Also thank you to my evening division class for listening to my off-the wall questions and putting up with my morning food pics.